In this post we will look at making the most of the various order types. You’ll learn how rather than resorting to complex expert advisors, many basic trading setups can be done with orders alone. An order can be either to open a new trading position or to close an existing one. It is customary when talking about orders to refer to the action. For example, a buy to open, a sell to open or a buy to close. Sometimes these are referred to as entry orders and exit orders. This helps to avoid confusion. When an order is completed successfully it’s said to have executed or filled if it’s an opening. There are a few different types of order commonly in the forex market each with its own particular uses. So what are the differences in forex order types and when should you use them? A market order has the least possible restrictions and therefore the highest chance of being executed. It executes at the current market price. In other words, when you place a market order you are giving permission to your broker to buy or sell at whatever price the market is currently trading at. Even though you may have been given a quote there’s customarily no guarantee that your trade will actually execute at that price. This can be both a good thing and a bad thing. If you want to get out of the market quickly, a market order is the way to go. In this situation you wouldn’t want the order to cancel because the market has moved a few points away from you. With some trading systems you can provide a maximum slippage allowance. The order will then cancel itself if the market moves by more than this set amount. However not all brokers will honor these additional instructions even though your platform might let you set them. Before placing market orders it’s important to check the convention that your broker and trading system follow. When the market lacks liquidity the slippage setting can be a risk control to stop your order from executing far away from the last quote. For example, in a flash crash or volatility spike you potentially could find a market order executing at a price far away from the last price you’ve seen on your screen. The main advantage with a market order is that it’s near instantaneous and in forex is essentially guaranteed to be filled. This is why it’s favored by day traders and other market speculators. A pending order is a conditional order that executes if and when certain price levels are reached. The two types are the limit order and the stop order. A limit order triggers in the direction of profit. A stop order triggers in the direction of loss. As a point of interest, a limit order is created for you automatically whenever you set a take profit on a regular order. A stop order is created for you whenever you set a stop loss. But these order types also have many other uses beyond this. A buy limit orders is an instruction to buy when the market is at or below a certain price. For example if EURUSD is at 1.1200 a trader might place a buy limit order to execute when the ask price reaches 1.1150 – 50 pips below the market level. When entering a buy limit you can set duration and that will determine how long the order remains active. By convention pending orders are normally good till cancelled (GTC). That means they remain active until they execute or you cancel them. A take profit on a short position is a conditional buy to close limit order. The buy limit ensures to close the position when the market reaches the lower level that’s set as the take profit price. A sell limit order is an instruction to sell when the market is at or above a set price. For example if spot GBPUSD is 1.3000 a trader could place a limit order to sell GBPUSD at 1.3050. This order would execute if and only if the GBPUSD bid price rises to 1.3050 or higher. A take profit on a long position is a sell to close limit order because it will execute only when the market is at or above the take profit level. A buy stop order is a pending order to buy at or above a given price level. For example if EURUSD is at 1.1200 a trader could send a buy stop order to buy at 1.1300. This order will fire if and only if the ask price reaches 1.1300 or higher. A stop loss on a short position is a buy to close stop order. It will close the position only if the ask price moves to the stop loss line or above. A sell stop is the opposite of the buy stop. It’s an instruction to sell at or below a given price. As an example given USDCAD is at 1.3300 a trader might place a sell stop order to open at 1.3200. This means the order will execute only if the bid price reaches 1.3200 or lower. Finally, a stop loss on a long position is nothing more than a sell to close stop order. It executes, closing the position only if the bid price falls to the stop loss value or lower. This instruction comprises one market order and two separate conditional pending orders: The buy to open market order, a sell to close (sell limit) order at 1.3100 and a sell to close stop order at 1.2900. With a broker-side stop loss and take profit, the sell limit and sell stop are tied to the main order and are conditional on the position being open. Regulated brokers have a duty of best execution for their clients. Even so it’s important to realize that a limit order or a stop order is not a guarantee that an order will execute at that price or better – unless your broker tells you otherwise. When a pending order triggers it initiates a new market order. Once that market order is placed it will execute under market conditions at whatever price can be obtained at that time. If the market is excessively volatility or there’s poor liquidity it can suffer negative price movement and spread variation just as a normal market order would. This can cause it to execute at a price that’s a way off the price set in the order. In spot forex this slippage is not usually a big concern because of the depth of the market. But if you’re trading futures, options or small cap stocks, or if your broker doesn’t have access to enough liquidity providers, this can be a risk. When Should You Use Pending Orders? In these setups a trader may be looking to enter or exit the market only if and when certain conditions arise. Here are some examples. Range trader – A range trader might set a buy to open stop order that triggers when the price reaches a certain point inside the range. 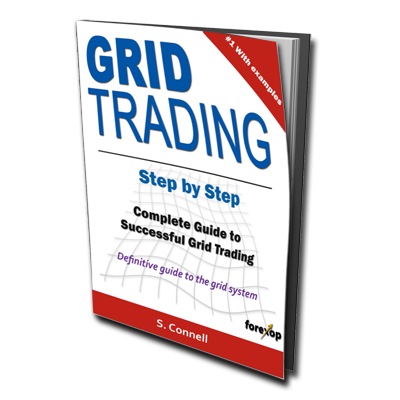 Cascading orders – Traders using grid strategies will often place a chain of orders that fire as the price moves up through or down through predetermined price levels. In this way, with pending orders a grid trader can capture price momentum as it develops instead of entering a block trade and waiting for the market to move in the expected direction. A chain of orders allows the amount of exposure to the market to be more finely controlled. It can also be used for hedging. Averaging out – A trader with a profitable long position could take profit in stages to reduce risk. This can be done by setting a chain of sell limit orders that fire as the price moves above the current market level. Some brokers provide other kinds of orders and modifiers. A trailing stop can be used to lock in a profit in a ratchet-like fashion. The order won’t close as long as the price is moving in the direction of profit. If the price pulls back a certain amount the stop loss will kick-in and close the position. A fill or kill order is a special type of order that cancels itself it isn’t executed immediately. This is an all-or nothing instruction, so partial-fills aren’t allowed. Conditional orders can allow you to create structured systems of trades. These can comprise multiple legs and sometimes even different security types. A conditional order can be triggered on criteria such an earlier order being filled or cancelled. By using conditional orders you can create some advanced rules to implement a particular trading strategy. Overall, the types of orders that you can use will depend not only on your broker but also on the trading terminal you use to place orders. 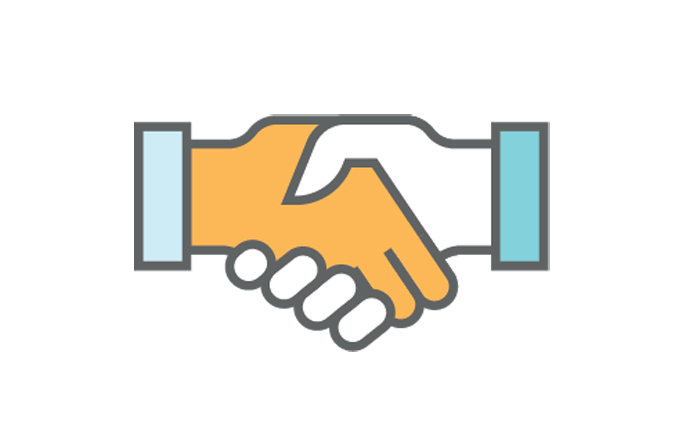 All brokers should at least offer market and pending order types.